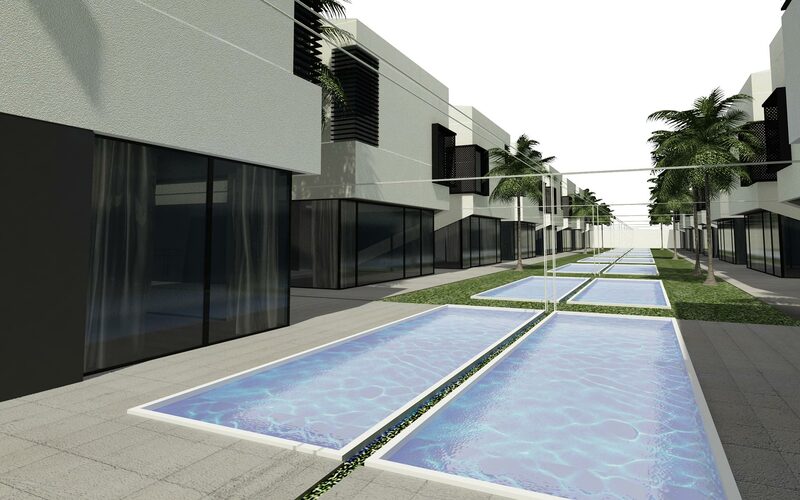 This project is a residential compound in Riyadh, KSA, which consists of 18 villas (from 480 to 550 sqm), each with a private garden and swimming pool (from 210 to 250 sqm). 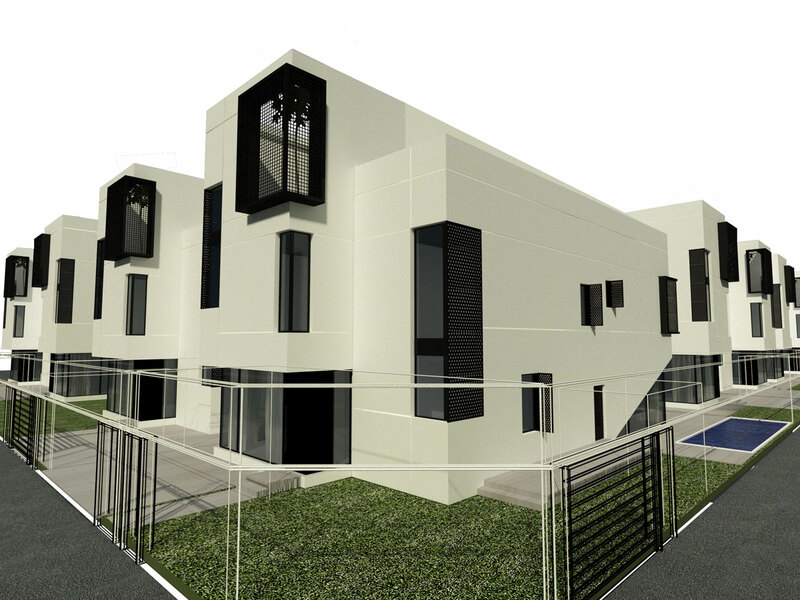 The challenge was to avoid monotonous repetition of similar volumes, while preserving a standardized construction strategy with minimum plan variations. 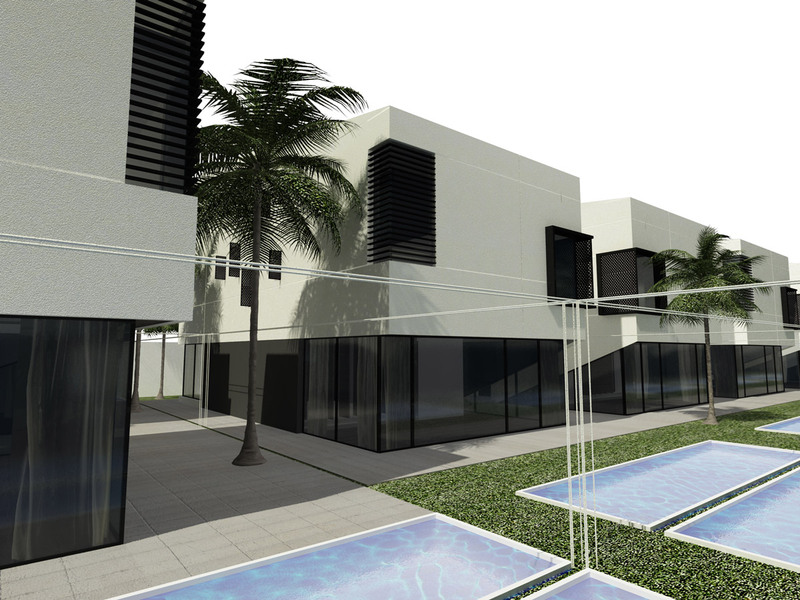 Two boxes define the villas; on the ground floor are social areas, designed in relation to the outdoor landscaped spaces. The structural frame provides a flexible internal partition. The bedrooms and private spaces are located on the first floor, while technical and service areas are located on the top floor. There, outdoor spaces connect the project to the surroundings. The boxes are shifted on the street façade to provide transparency on the ground level. They are slightly twisted at the top to generate dynamic outdoor spaces. The roof is pitched to optimize the entrance of daylight into the villas and break the rigidity of the overall massing of volumes. 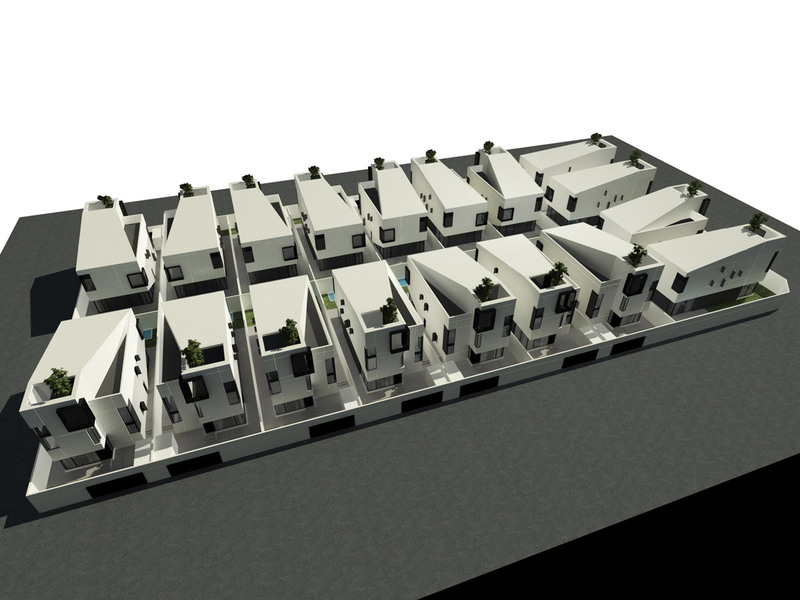 The 18 villas are rotated in different directions to create variety in the master plan. The treatment of the façade is simple and refined. 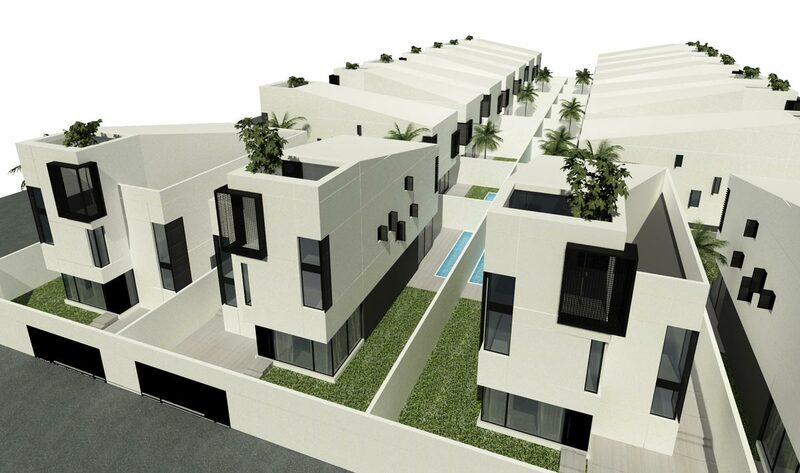 Local white stone and mashrabieh-like mesh elements serve to remind us of traditional Arabian architecture.